Resurface the complexion with the REN Supersize Glycol Lactic Radiance Renewal Mask; a cult-favourite, bio-active peel mask for dry, mature and sun-damaged skin. 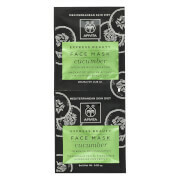 Effortlessly smoothing over the visage, the luxurious face mask encourages results in just ten minutes. Whilst on skin, the formula is able to renew the complexion due to a hardworking cocktail of four AHA’s. 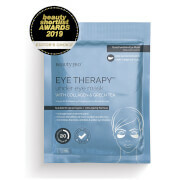 Glycolic, Citric, Lactic and Tartaric Acid work in synergy to perform multi-action exfoliation on the face. This is able to eliminate dead skin cells, smoothing the top layer of skin to visibly improve skin tone and reduce the appearance of enlarged pores. Acne scars, hyperpigmentation and wrinkles are also visibly reduced. Once removed, the Radiance Renewal Mask reveals a brighter complexion that appears smooth, firm and uniform. 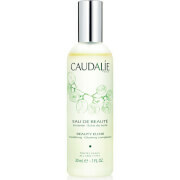 Using a generous amount, apply to your freshly cleansed face and neck, avoiding the delicate eye area. You might feel a tingling sensation – this is normal. Leave on for 10 minutes, then dampen the cloth and wipe the mask away. Rinse your skin with warm water. Then follow with your skincare routine. Aqua (Water), Polysorbate 60, Glycerin, Lecithin, Lactic Acid, Vitis Vinifera (Grape) Seed Oil, Ribes Nigrum (Black Currant) Seed Oil, Vaccinium Macrocarpon (Cranberry) Seed Oil, Citrus Medica Limonum (Lemon) Fruit Extract, Xanthan Gum, Maltodextrin, Sodium Lactate, Carica Papaya (Papaya) Fruit Extract, Passiflora Quadrangularis Fruit Extract, Ananas Sativus (Pineapple) Fruit Extract, Vitis Vinifera (Grape) Fruit Extract, Alcohol Denat., Parfum (Fragrance), Phenoxyethanol, Limonene, Hippophae Rhamnoides Fruit Extract, Tocopherol, Sodium Hydroxymethylglycinate, Linalool, Citrus Nobilis (Mandarin Orange) Peel Oil, Citrus Aurantium Dulcis (Orange) Flower Oil, Citrus Tangerina (Tangerine) Peel Oil, Citrus Grandis (Grapefruit) Seed Oil, Citral, Potassium Sorbate, Sodium Bisulfite.